Despite longer-lasting aircraft, more durable engines, and innovations in maintenance techniques, recent research has shown that maintenance spending continues to increase. In fact, airlines now spend more money on maintenance than on fuel or crew. The need to cut maintenance, repair and overhaul (MRO) costs is a pressing issue for airlines, as is the need to keep assets operationally available. 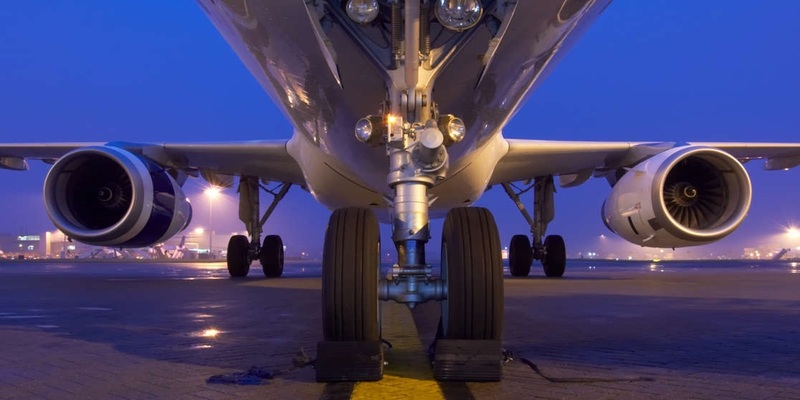 So how can airlines keep aircraft in the air while reducing maintenance costs? Mark Martin, director of the commercial aviation product line at IFS sets out four major technological developments that will help airlines meet these challenges and produce major benefits across the commercial aviation industry through 2018. Maintenance is one of the major contributors to aircraft operating costs. Flight delays and cancellations from unplanned maintenance cost airlines millions of dollars every year, not to mention the impact on customer satisfaction. Because of this, the minimization of operating costs and optimization of operational availability continue to be top priorities for airlines. By implementing digital twins and creating a virtual model of the asset, organizations can receive early warnings, predictions and even a plan of action by simulating ‘what-if’ simulations based on weather, performance, operations and other variables – helping keep aircraft in service for longer. One of the biggest opportunities for AI involves predictive maintenance. An Oliver Wyman report suggested that predictive analytics can help optimize maintenance planning and capacity by reducing the need for routine maintenance and only triggering repairs when needed – helping increase fleet availability by up to 35% and reduce labor costs by 10%. The ability to correctly predict the right moment to repair or replace a part is key to this approach. If done too far in advance, the benefits of longer usage are lost, but if done too late, unexpected failures can result in unavailable assets and lost revenue. One of the main challenges facing AI adopters is that storing and analyzing vast quantities of data can overwhelm IT systems. The next generation of cloud solutions are here to help process this data, meaning that everything from predictive maintenance to in-flight performance and the real-time ageing of the aircraft can be better tracked and understood. As digitalization transforms business models in 2018, the application of advanced analytical methods from AI will no longer just be good to have – it will soon be business critical. Airlines aren’t just eyeing the cloud as an answer to dealing with AI – cloud services also go hand in hand with mobile solutions. Recent research of 200 aviation professionals found that mobile computing is one of the top five areas identified for investment in 2018, with over 30% of respondents identifying mobile as being a key driver of digital transformation. Some of the biggest improvements in maintenance techniques can be derived simply from engineers being able to take a closer look at everyday tasks, such as aircraft inspections – a task that drones will revolutionize in 2018. Today, typical visual inspections of commercial aircraft can take up to six hours. Drones have the potential to cut this time dramatically while offering greater accuracy of checks, freeing up engineers’ time, reducing maintenance costs and improving safety. Workers would still control the flight of the drone, but by using visual processing algorithms combined with enterprise IT systems , the drone can send work orders straight to the maintenance crew as soon as a fault is identified. Despite these hurdles, there is a growing opportunity for the industry as the benefits start to outweigh the challenges in 2018. In the US for example, the UAS Integration Pilot Program was recently announced, aiming to pair unmanned aircraft operators with state and local governments to safely expand cutting-edge unmanned aircraft operations. The program will shape a regulatory framework that balances the benefits of drone technology while lessening the risks to public safety and security.